As planets go, ours is a beaut. In celebration of Earth Day on Monday, April 22, Metro is offering free rides on our buses, trains, and bike share bikes. The free rides begin at 4 a.m. on April 22 and continue until 3 a.m. on Tuesday, April 23. The idea behind the freebie rides is to encourage people to take transit and help reduce air pollution and greenhouse gas emissions in L.A. County. Free rides is a practice rare at large agencies, which is too bad. To repeat what I’ve written many times, taking a bus or train instead of driving alone is a good way to reduce the greenhouse gas emissions your activities produce. It’s also a high-impact way to reduce your household’s greenhouse gases. A very long story short: a number of nations, communities, ecosystems and species are at risk because of climate change. Impacts include rising sea levels that could inundate communities, more severe and/or changing weather patterns that could inflict more damage and change agricultural practices and shrinking wildlife habitats. To name a few. Need something to listen to whilst transiting? Try this New Yorker podcast on wildlife extinctions and climate change. As part of this year’s free rides, Metro will also be handing out stickers reminding riders of their good deed and putting posters up across the system. 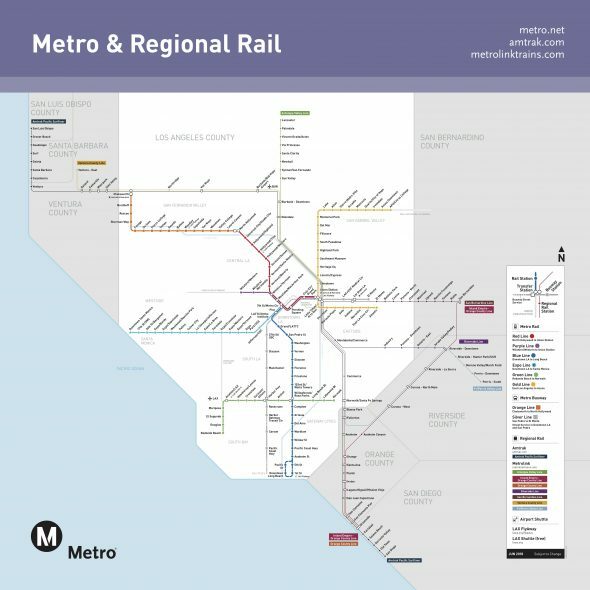 If you’re new to the Metro system, planning a transit ride can be done on the trip planner at metro.net or on Google Maps. 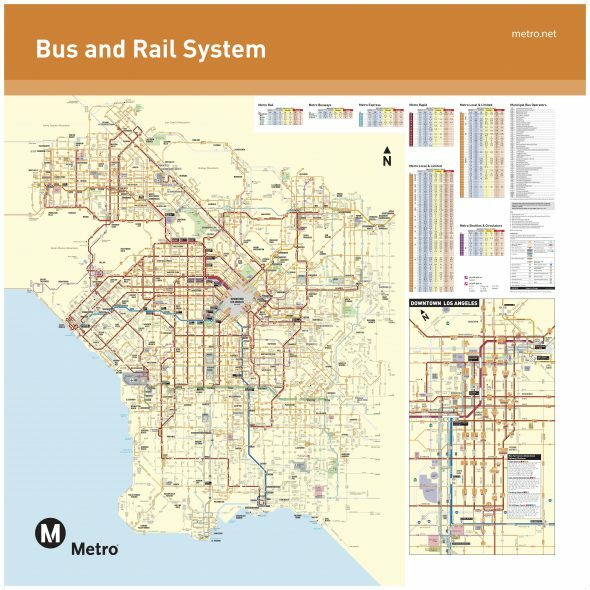 Below are maps of our entire system along with a map of our rail and bus rapid transit lines. Individual maps and timetables for all bus and rail lines can be found here. 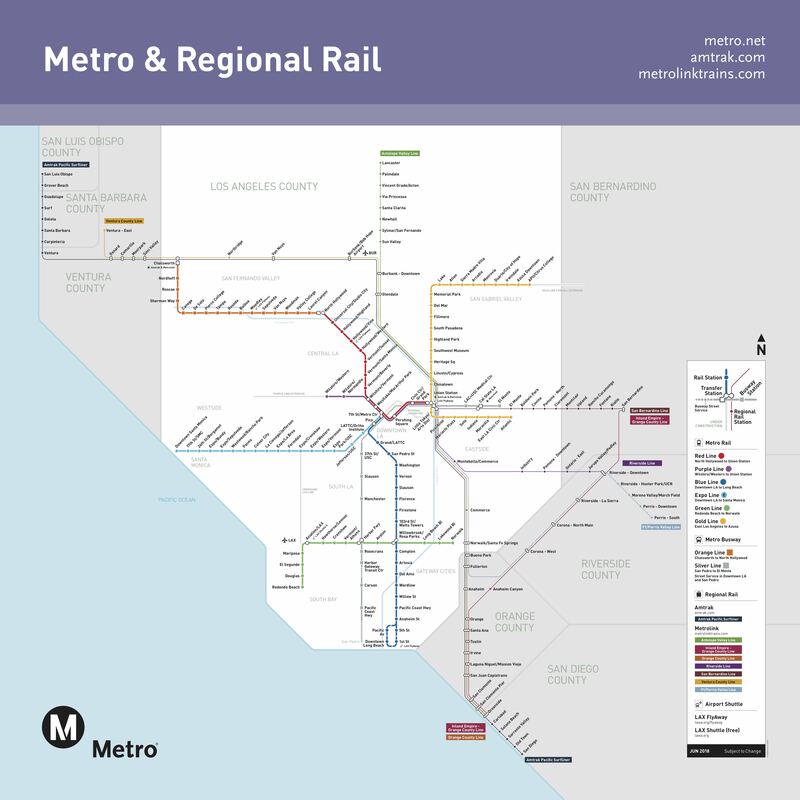 Metrolink: offering commuter rail service across Southern California. Metro Bike Share: unlock free 30-minute bike rides with the promo code 4222019. Usage fees of $1.75 per each 30 minutes thereafter apply. The code can be used multiple times throughout the day. Valid at any Smart or Classic Metro Bike Share station. Not valid online. …if only the parking cost were minimized/free too, and if only the trains ran when I need them, and where I need them, to get to work. I support public transportation, but I can’t use it when it doesn’t go where I need to be, when it stops before I finish work and when adding in parking makes it cost more than if I drove. Sigh. Let’s fix what we have before making it harder and more expensive to use. Metrolink is free too, and hopefully other agencies will “join the movement” as well. Thanks for the info! 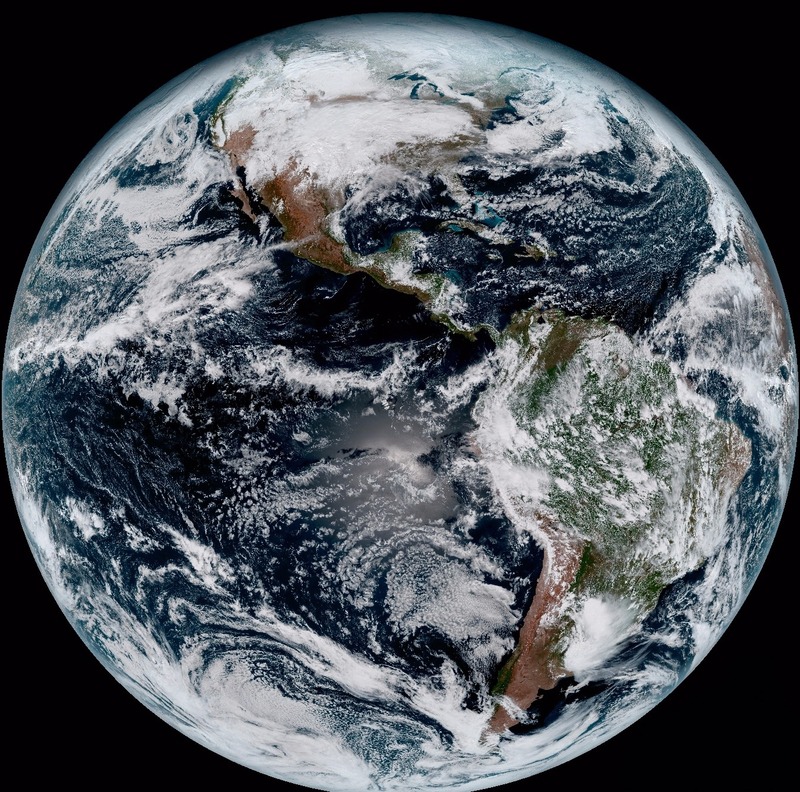 We’ll list the agencies offering free Earth Day rides to this post. Why are my taxes paying for these free rides? My Measure M taxes should be paying for rail/highway/street improvements! Why would you want my tax money to pay for free rides for motorists?! – Routes with low ridership bringing down the numbers. – The buses aren’t electric yet. Transit should take care not to lose its environmental edge. Because many of us have already pre-paid for today’s date regardless because of the monthly pass. So guess what? Free doesn’t mean anything to me. That being said, knowing that Metrolink is free does make a quick visit to Downtown Disney very tempting. Everyone knows that you don’t really need to pay for a ride on the metro rail system. Jumping the fare gate is a daily routine with countless people. I see it happen everyday. I pay for my ride through automatic deduction at work otherwise I would probably jump the gate as well. I was on a purple line car this morning that had security checking cards. Every person on the car had valid fare. Me thinks you’re exaggerating on how many people aren’t paying. I see it happen, but it’s definitely not the norm. How do you ride for free? Do you still have to tap? No, you won’t need to TAP on April 22. Station gates will be open to allow you to pass through. I feel like a good system would have been to zero the fares today, that way everyone would ride free w/o having to hope they saw this post (and believed it/remembered it). Still though, happy earth day! I heard that it wasn’t taking the deduction, so if you tapped you should still be good. Hopefully Metro staff can verify. That is correct. The validators were not accepting fares on Monday. I’m on Silver Line, 910, unit #8367, and EVERYONE was required to tap or pay their fare. Sorry to hear this. If you tapped today, your card will not be charged. And we will remind staff and operators about the free rides.